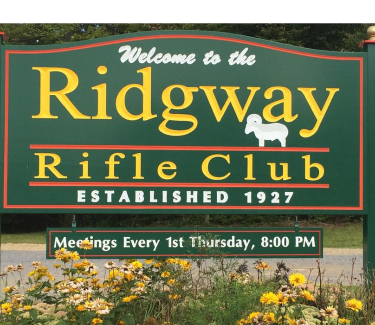 Ridgway Rifle Club has lots of possibilities for today’s Rifle and Pistol Enthusiasts. It is located in Northwestern Pennsylvania, in Elk County just out side of the town of Ridgway..The club has a outdoor 4 bay pistol range and a 50 ft. indoor pistol range. For the rifle shooters there is a 100 yard NRA small bore range, a 200 yd sight in / NRA Lever Action Silhouette range and a 500 meter NRA Silhouette Range and also a 1000 yard Varmint Benchrest Silhouette range. Match held every second Saturday of the month year round. Indoors in the Winter months and outdoors in spring summer and fall.